What Are the Different Types of Trumpets Available To Players? The trumpet is an incredible brass instrument that has a powerful legacy on its own. And while virtually everyone has heard what a trumpet sounds like, and more than likely seen one in person; fewer people are aware of the fact that there are actually several different types of trumpets. 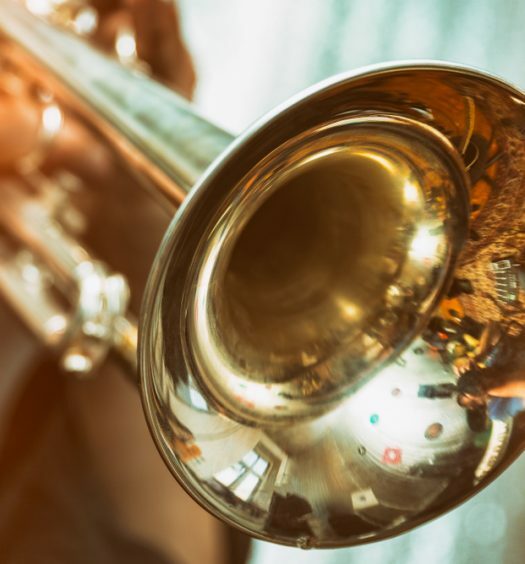 Whether you are a brand new trumpet player, or simply curious about the instrument itself, read on to unlock and explore all of the incredible different types of trumpets that are available! For starters, it should be noted that trumpets are made in various keys, which include low F, B♭ , C, D, E♭, E, F, G and A. The B♭ trumpet is the most commonly used type of trumpet. In fact, it is the type of trumpet that the vast majority of students begin learning and practicing with, and is also the most called upon for professional situations. 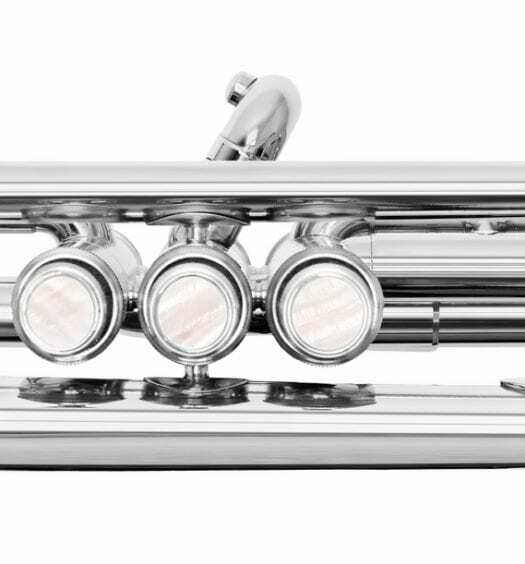 The C trumpet is also quite commonly used, as it utilizes shorter tuning slides and provides a bit of a brighter sound than the B♭ trumpet; which makes this trumpet the main selection for countless orchestral performers. The differences between these instruments are extremely subtle, and to the majority of ears would difficultly even notice. 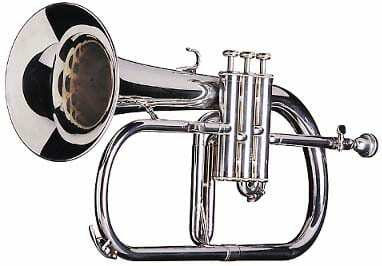 The next trumpet on our collective list is the cornet, which is actually a close cousin to the trumpet. Many beginner students opt to get their start on the cornet as opposed than the B♭ trumpet due to the fact that it is slightly compressed in its overall appearance and makes it significantly easier to hold. Many musicians actually prefer the cornet over the B♭ trumpet because it brings forth a lighter, more mellow tone. Yet another relative of the trumpet is the flugelhorn. It can be described as a more swollen version of the trumpet, and is additionally played in a similar manner. The flugelhorn is naturally softer in tone and grants a far more forgiving sound, which is that main reason that is tends to be most commonly heard in jazz music. The smallest trumpet that is available is the piccolo trumpet. Due to the fact that this trumpet uses far less tubing than the others, it’s pitch is a lot higher when compared to the more conventional trumpets, and is most commonly used in settings of a religious nature. Usually the piccolo is crafted in the B♭ key, but is also available in different keys as well. Another characteristic that sets the piccolo apart is the fact that the vast majority of these trumpets have 4 valves as opposed to 3, with the 4th valve being implemented to lower the pitch of the instrument. The piccolo trumpet is pitched an octave higher than the standard B♭ trumpet. The vast majority of piccolo trumpets are designed to play in either B♭ or A, and use a separate lead pipe for every key. The tubing in the B♭ piccolo trumpet is half the length of a standard B♭ trumpet. And while piccolo trumpets in G, F, and high C are manufactured, they are in fact much rarer. The piccolo trumpet should never be confused with the pocket trumpet (see below), as the pocket trumpet plays in nearly the same pitch as the regular B♭ trumpet. One trumpet that is most commonly recognized for its short stature, is the B♭ pocket trumpet. The compressed construction of the pocket trumpet is what gives it a truly unique sound. Interestingly, these trumpets are rarely used. While many argue that a pocket trumpet is little more than a toy-like instrument, there are some who claim that pocket trumpets actually have a nice tone quality and interesting projection, that is in fact quite unique in the world of trumpet playing. 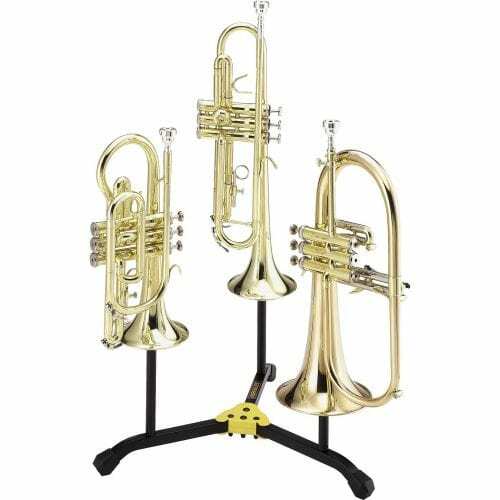 While small in size, they are actually just as loud as standard sized trumpets and boast extremely warm sounds with very few issues with regards to its intonation. In terms of valveless trumpets, there is actually one that has most certainly served its purpose throughout military history and remains ever-famous on the racetrack as well! The bugle! The bugle is a valveless trumpet that was derived from the early trumpets. Due to the fact that the bugle has no valves or other pitch-altering devices, pitch control is done entirely by implementing variations of the player’s embouchure, and the bugle is actually limited to notes of which are within the harmonic series. 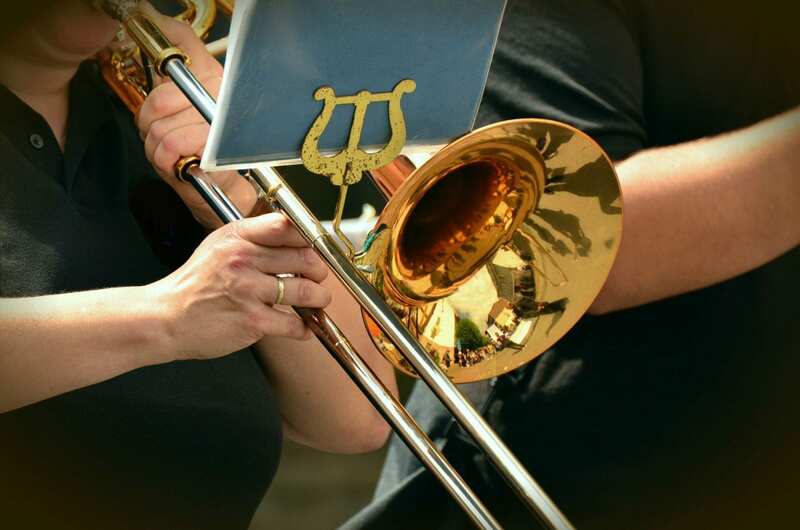 Trumpets that are pitched in the low G key, called sopranos, or soprano bugles, are in fact adaptations of traditional military bugles and are most often used in drum and bugle corps, though soprano bugles feature both rotary valves and also piston valves. 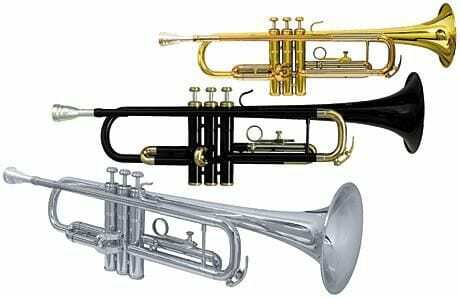 Finally, we come to a few other trumpets that are all quite rare in terms of their usage as well. First, the slide trumpet, which uses a slide instead of valves and actually evolved into the sackbut, which in turn evolved into our modern-day trombone. However the main difference between these instruments , is that the slide trumpet has only a one single slide joint, as opposed to a double slide joint like the sackbut/trombone. Then we have the bass trumpet, which sounds very similar to a trombone. As both the bass trumpet and trombone have valves and the same tubing length, the bass trumpet has a more hard and seemingly metallic tone. Some manufacturers even offer what they call valve trombones and bass trumpets that use identical tubing, valves, and bells, but in different configurations; this actually makes the bass trumpet pretty much identical to a valve trombone. There are a number of incredible, and highly sought after types of trumpets for players of all skill levels. At all point ,they should be examined to see if the fit feels right for the player on a personal level. Regardless of which trumpet is the best fit for you, you are sure to find it available in a wide variety of wonderful options to suit your needs and desires!